The addition of a conservatory will also maximise natural light within the home and offer enhanced access to the garden and surrounding area. P-Shape: Combining the Victorian and Lean-To styles, a P-Shape conservatory offers maximum space, which can be used for a number of different functions including a living and dining area within the one conservatory. The P-Shape offers a traditional appearance and is available in a range of grain-effect colour options. T-Shape: Combing the Victorian and Gable styles, a T-Shape conservatory offers maximum space which can be used for a number of different functions. The high front facing section of the T-Shape also offers increased height and maximum light exposure. The T-Shape offers a traditional visual appearance and is available in a range of grain-effect colour options. Multi-functional and classical in appearance, the Victorian is the most popular style of conservatory for all new builds properties and extension projects. All conservatory frames and roofing systems are mechanically strong, tough and durable to ensure the longevity of the conservatory structure. All opening sections of a conservatory are fitted with high-performance locking to ensure the safety and security of your conservatory and home overall. 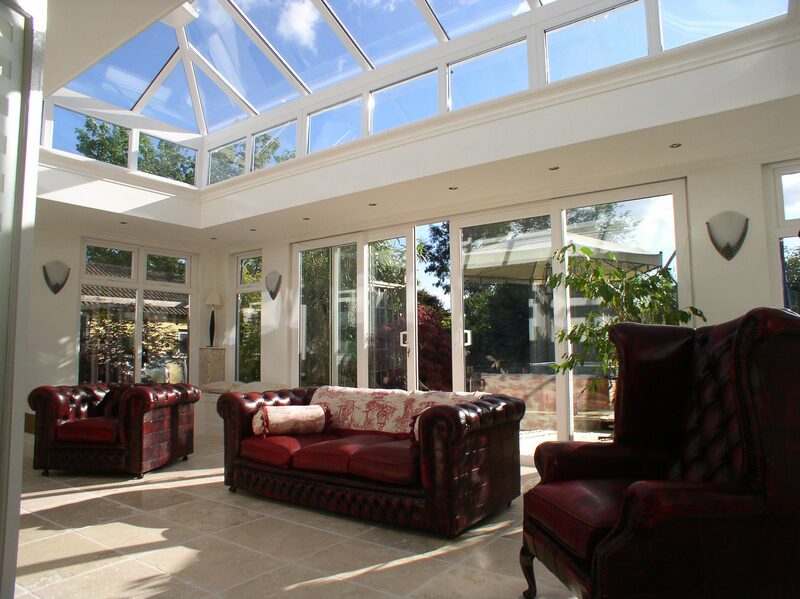 All conservatories feature high-performance glazing units which reflect internal heat back into the home, whilst absorbing external heat from the sun. For enhanced climate control, a number of additional glazing options are available including solar control and tinted glass. 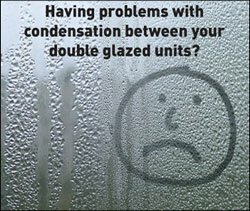 These glass options help regulate the heat and temperatures of the conservatory accordingly during hot and cold weather conditions. 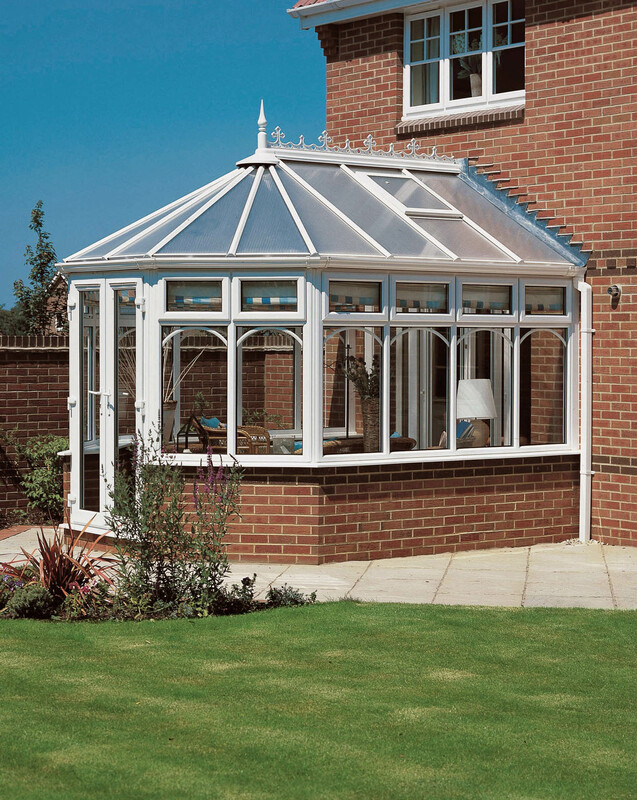 With a flat front section and high roof, the Gable offers a more modern appearance than traditional conservatory styles. The square shape of the Gable is ideal where space is limited and ensures a more ‘room shaped’ style for extra versatility. The front facing section of the roof remains vertical with the conservatory, rather than sloping back, in turn creating extra height and space. Conservatories are ideal for adding extra space and character to your home whilst keeping overall expenditure to a minimum. The addition of a conservatory will also maximise natural light within the home and offer enhanced access to the garden and surrounding area. With a flat front section and a roof that slopes back to the centre, the Georgian offers a more modern appearance than traditional conservatory styles. The square shape of the Georgian ensures that is ideal where space is limited and offers a more ‘room shaped’ style for extra versatility. Conservatories are ideal for adding extra space and character to your home whilst keeping overall expenditure to a minimum. The addition of a conservatory will also maximise natural light within the home and offer enhanced access to the garden and surrounding area. The Victorian conservatory is curved in shape, with bay front and a high-pitched roof. The classical appearance of the Victorian ensures that it is ideally designed for a range of house styles. Conservatories are ideal for adding extra space and character to your home whilst keeping overall expenditure to a minimum. The addition of a conservatory will also maximise natural light within the home and offer enhanced access to the garden and surrounding area. All conservatory frames and roofing systems are mechanically strong, tough and durable to ensure the longevity of the conservatory structure. All opening sections of a conservatory are fitted with high-performance locking mechanisms to ensure the safety and security of your conservatory and home overall.